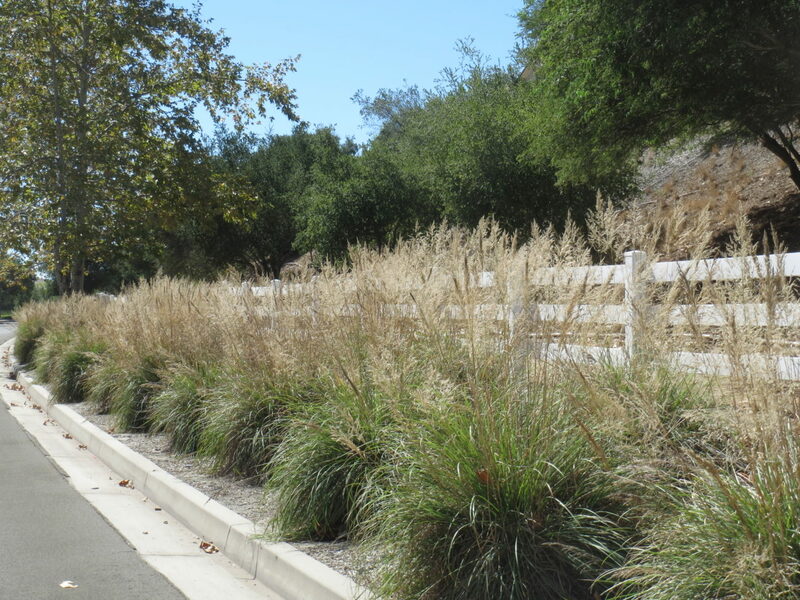 Bull grass is native to rocky slopes in oak woodlands from Arizona to Texas south to Mexico. It is an evergreen clumping grass with blue-green foliage that grows 2-3 feet tall and wide. 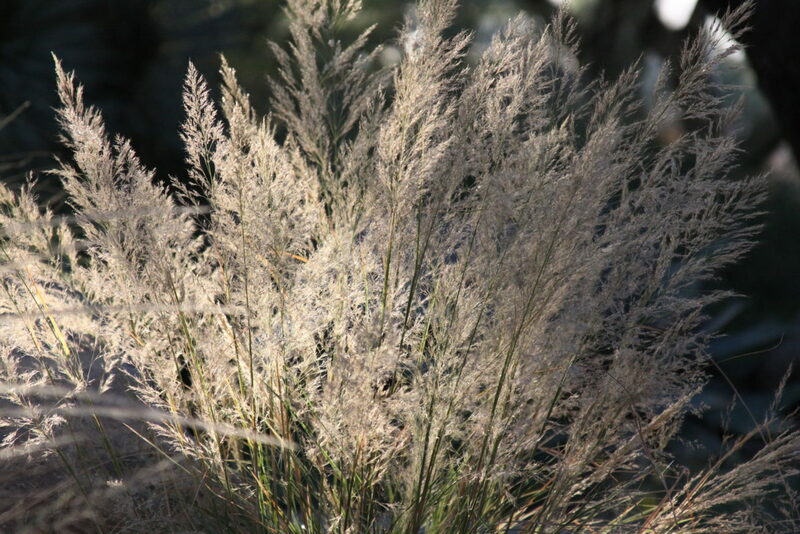 It is smaller and more dense than deer grass (Muhlenbergia rigens) with slightly wider leaves. Plant in well-draining soil. In fall loose flower spikes with dark purple flowers will rise above the foliage. El Toro® is native to oak woodlands from Arizona to Texas. This clone was selected for its rosy-purple panicles, which dry to a tan color in winter. 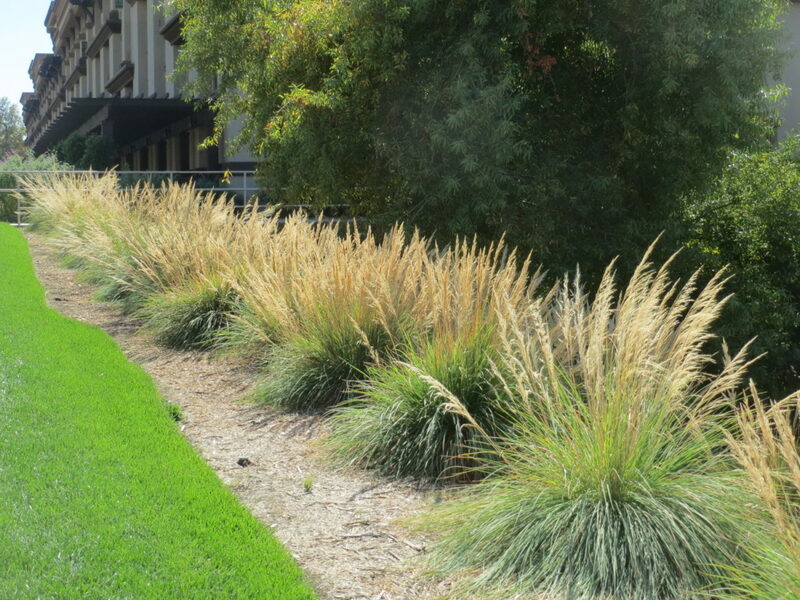 It is a petite, dense grass that grows to 2 ft. tall and wide, with long blue-green leaves. It thrives in full sun and locations with reflected heat. Handles shady locations, almost any soil, and is hardy to 10 degrees F. Give it a vigorous spring pruning to remove any dormant foliage and flower spikes. Do not cut back during hot summer months.